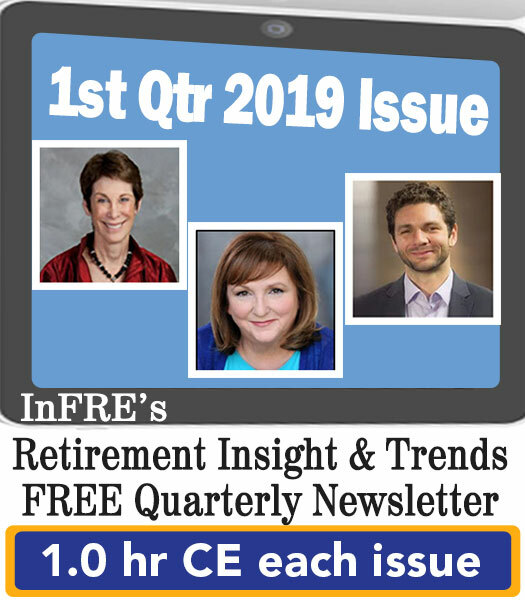 Editor’s note: This article is an adaptation of the live webinar delivered by Paul Malley in 2018. His comments have been edited for clarity and length. 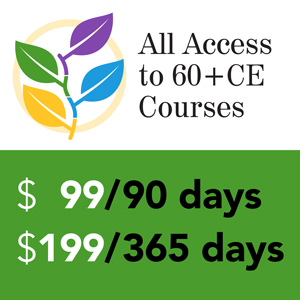 You may also choose to take the full length course Advance Care Planning: A Critical Component for Building Client Relationships for 1.0 hour continuing education (CE) credit. Take a second to think about your answer to this question. If you were told that you had been diagnosed with a serious illness, that you are not far from the end of life, what things would stand out to you as being most important? Mother Teresa inspired our work. She was often known as asking this question to reporters or a small group of people who had gathered around to talk to her. She’d ask them: “What’s the worst disease in the world?” Typical responses were leprosy, AIDS, cancer; you run down the list. She’d shake her head, and say, “No. The worst disease in the world is loneliness, people feeling alone, people feeling isolated.” We know that this can touch all areas of the world. It’s affecting people in any city, in any rural area, regardless of how much money they have, or they don’t have. It touches in all corners. What does it mean to plan before a serious illness? Often, people haven’t taken a practical step of telling their loved ones what they would want. They haven’t filled out any paperwork, any documentation, either with their healthcare provider or their attorney or any other professional advisor, to say “here’s what’s important to me.” That’s what we aimed to be a solution for when we created Five Wishes. Financial advisors use Five Wishes as a helpful advance care planning tool that provides their clients the benefits of peace of mind and a record, a trail of breadcrumbs so that their family doesn’t have to guess what they would want. Advance care planning is the umbrella term that covers any actions that we take as individuals to plan ahead of a health crisis, to make healthcare plans or designate decision-makers for what we would want in case we’re not able to speak for ourselves. The idea of living wills, advanced directives, has been around a long time. The problem is that most people didn’t use the forms that were out there. We thought it would be more useful to people if a document were in a simple format and everyday language; if it focused on promoting peace of mind, not just resolving legal questions or medical questions but concentrate on what the patient, the person, was most interested. We also wanted to help families avoid second-guessing and issues of guilt; did I do the right thing for my mom or dad, and helping people get the care that they want and deserve? However, we also need to look at what’s important to their heart and their soul, what’s important to their human dignity. That’s why Five Wishes was the first living will or advance directive to address these issues of emotional and spiritual connections and preferences. We did work with the top medical and legal experts in the country, palliative care medical providers, and attorneys at the American Bar Association that helped us look at the legal requirements in all 50 states, so we could craft Five Wishes in a way that meets the legal requirements in as many states as possible. Every state has a part of their law that addresses advanced directives and advance care planning. The current additional Five Wishes fully meets the legal requirements for an advance directive in 42 states and can be used in place of the standard, typical durable powers of attorney for healthcare or living wills. In eight states, there is an additional requirement that after you fill out Five Wishes; you also need to fill out your state-required advance directive as well. Each of those states has a mandatory form requirement where their state statute implies that to use an advance directive in this state you must use their form that’s written in the state statute. The thread that you’ll see embedded in Five Wishes is this focus on honoring and promoting human dignity, and also responding to some of people’s greatest fears, such as the fear they’ll be an object on a healthcare conveyor belt. They fear they may become anonymous, that people don’t know them, that their healthcare providers don’t know them. Maybe even that their close family members don’t really understand what’s most important to them. We want to help change that so that people don’t feel alone or unknown. We also want people to be able to communicate not only with their family but also to their healthcare provider and their professional advisors, whether it’s an attorney or a financial advisor. When someone is living in the last weeks or months or years of life, we need the help of everyone who is important in our lives. We need the help of our close friends, our close family, and our close professional advisers. The better our relationships are on all these fronts, the more people know us, whether it’s our family or a professional advisor, the better equipped they’ll be to help us in that of crisis or for dignified care and quality care near the end of life. What Issues Do Five Wishes Address? The first is naming the person that you want to make healthcare decisions for you when you can’t make them for yourself. That’s the equivalent of the durable power of attorney for health care, or a healthcare agent. The second focuses on medical treatment and making decisions about what types of treatment you’d want, or not want. That’s akin to the traditional living will. Then the third, fourth, and fifth wishes get into more personal preferences about comfort and dignity, and how you want people to treat you, and what you want your loved ones to know. Wish 1 is like a traditional durable power of attorney for healthcare and is a good example of how Five Wishes has changed the language. Imagine presenting to your client or your grandmother a document that is titled “Your State’s Durable Power of Attorney for Healthcare.” If they have a law degree, they might be able to figure out that title and the wording in that document that’s sometimes very difficult to understand. Rather than calling it “Durable Power Attorney for Healthcare”, we use the simple headline, “The Person I Want to Make Care Decisions for Me When I Can’t Make Them for Myself.” That’s just one example of how we’ve changed the language around to remove medical and the legal jargon and focus on, the practical simplicity of what this is about; here’s what you’re being asked to decide. There is space on this page to name the person you choose as your healthcare agent. There is room for naming a first choice, second and third choice. We know today sometimes finding a person as a healthcare agent can be difficult if they’re not available or if they’re not willing to make those decisions. There is also a list of powers that that healthcare agent can have; things like making decisions about medical treatment, about medical providers, who are providing your care, where you’re receiving your care. Anything on that page that you see that the person filling this out doesn’t want, they can cross it out to limit their powers as a healthcare agent. Wish 2 focuses on medical treatment. It makes a clear statement about how you want to be cared for and have your dignity acknowledged and respected. There’s a broad definition of what life-support treatment means. This is an important point that I would encourage you to discuss with clients or with your family who has completed another advance directive, or a living will in the past and see how that document defines life-support treatment. A lot of the older generations of those documents just used broad language like “life-support treatment” or “extraordinary measures” or “extraordinary means”, without defining it. When you look at state statute, there often is a very broad definition of all the treatments that could be considered life-support treatment. The broad definition Wish 2: What “Life-Support Treatment” Means to Me, includes all the things that state statutes include in the possible types of life-support treatment. Then right below that, there are blank lines so that a person can limit those options. So, if there are parts of this that they don’t want to be considered life-support treatment, there are blank lines there where they can put them in their own words. Wish 3: My Wish for How Comfortable I Want to Be is about pain management; how you want your doctor to give you enough medicine to relieve your pain even if that means you’ll be drowsy or sleep more than you would otherwise. I remember sitting down with a couple as they filled this out. They had been married for over 50 years. They said, “We don’t need to do this; we’ve been married a long time; I know what my wife would want; I know what my husband would want.” Then the husband said, “Well, you know, I think the most important thing to me is to be awake and aware and present with the family as long as I can be. I’m willing to be in a little bit of pain if that means that I’ll be present with the family longer.” His wife looked at him, shaking her head, and said, “Are you nuts? If it hasn’t already been said, it’s not going to get said. Give me whatever you got to give me. I don’t want to be in pain.” In this case, something as simple as pain management and being comfortable, this couple had different thoughts than what they assumed. For so many of us in our own families, if we don’t have any direction or guidance from our loved ones, we do the best that we can, and often that means making decisions based on what we would decide for ourselves. Sometimes that’s right, but sometimes it’s not. When families have these conversations, they realize things to do to make sure that they’re not just doing what they would want for themselves but doing what their loved one specifically wants; what will make a difference for them. Wish 4: My Wish for How I Want People to Treat Me states the people you want with you when possible. Sometimes people will write in the margins the list of people whom they do want the room. Sometimes there’s Part 2 of that list – people they don’t want in the room; that can make for some interesting family conversations! It’s much better to talk about it ahead of time, and to have direction from the person, again, rather than grasping at straws or second-guessing. We’ve often heard that the holidays, whether it’s Thanksgiving or Christmas or even around New Year’s, anytime that a family is together, wind up being a perfect time because the family is united and together. They might live in different parts of the country, but when the family is together, that’s an ideal time to talk about this. Wish 5: Here’s What I Want You to Be Able to Remember About Me is the final wish that gets really to the heart and soul of what’s important to a person, of being able to express love and forgiveness. After having offered Five Wishes now for 20-or-so years, this is the part about which we hear the most gratitude. When clients see that you are looking out for their best interests, not just from a bottom-line perspective, but from a holistic view of really caring about how their legacy is carried on with their family and the experience their family has as they approach the end of life, that builds trust. One of the greatest gifts of Five Wishes is the immediate gift of peace of mind. It can also be used to keep clients engaged. Maybe the portfolio decisions are made. Perhaps they have their last will and testament in place. They’ve crossed all those T’s and dotted all those I’s. However, let’s dig in a little bit deeper and really think about what more we can do to make sure that you and your family are prepared for whatever the road has in store for you in the future. Five Wishes can also be a community outreach tool. A way to do this is to present advance care planning to community organizations, such as churches, investment clubs, Rotary, Kiwanis, etc. to identify yourself as an expert who has done this in your own family, and that you have resources you can provide to others in the community so that they can do the same. 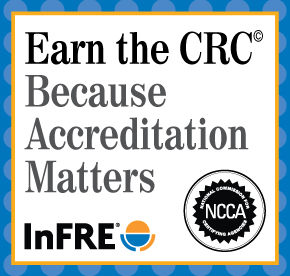 We have a lot of the resources to back you up on that with presenter’s guides and all the information that you need to know so that you can feel confident in identifying yourself as an expert in advance care planning. This is very different from giving legal advice. Sometimes we’re asked that question by financial advisors, “Can we do this?” “Can we give out an advance directive?” “We’re not attorneys. We don’t want to practice law.” It’s in the same way that healthcare providers or churches or employers give out Five Wishes as a resource to families. Yes, it is a legal document. It meets the legal requirements in most states. That’s different from giving personalized legal advice. What we provide, in addition to the actual legal document that you could use to put into your clients’ hands or to distribute in the community, are some additional benefits and resources that you can use. For example, Five Wishes can be printed with your name, a message, logo and promotional information on the back page, so that every document you give out or your community partners gives out has your information displayed so that they know that this came as a gift from you. We also have a DVD for giving presentations, and a conversation guide for families and individuals that they can take home with tips on how they can start a conversation within their own family. The main website for Five Wishes is fivewishes.org. There is a specific page for financial planners at fivewishes.org/financialplanner that has a few of these tips and key suggestions for how you could put Five Wishes to use for yourself and your clients. We are in Tallahassee, Florida, but we work across the country. We serve individuals and families, organizations, financial advisors, faith communities, and employers that use our resources to help families receive the care that they want, to help individuals receive the care they want by identifying what’s important to them in case of a serious illness. All too often the things that matter the most to us don’t get talked about, whether it’s near the end of life, or throughout the course of life. Five Wishes will help surface on your radar and the radar of your family, here’s what’s important to you, here’s what’s important to us as a family, getting to the heart of the matter. 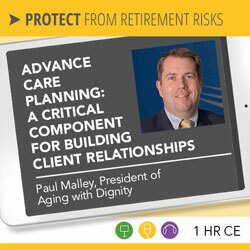 Paul Malley is President of Aging with Dignity, a national non-profit organization based in Tallahassee, Florida, with a mission to help individuals and their families receive the care they want in case of a serious illness. Aging with Dignity, is the creator and distributor of America’s most popular advance directive, Five Wishes, an easy-to-use legal document – used by more 30 million people – that addresses important medical issues as well as personal, emotional and spiritual matters at the end of life. ©2019, Paul Malley. All rights reserved. Used with permission.